Vanilla Artist Retreat: Over the Top with Copic Markers! Hey, what’cha doing in February? Do you want to color with me? Are you ready to go Over the Top with your Copic Markers? I’m so stinkin’ excited to finally announce this! Learn from Amy through live coloring demonstrations and highly informative Question & Answer sessions. We don’t just walk through the steps of a project, you will learn concrete methods and techniques to improve your realistic coloring. Discuss your retreat project or bring one work in-progress from home for guidance. A perfect time to resolve your special coloring issues and receive instruction at your unique skill level. Beginner basics such as blending technique and traditional Copic color combinations will not be covered. While Marker Painting Foundations is not required, it is an excellent preparation for this retreat. Color all day, then step out our back door to experience shopping and fine dining along the river. The entire area is incredibly pedestrian friendly, no car required! 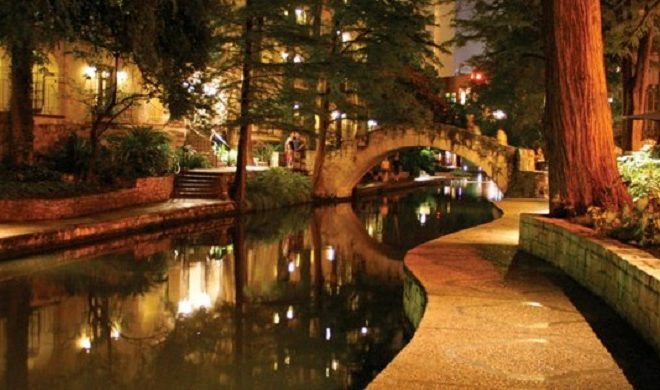 Meals are included at the hotel or you can head out for other options on the Riverwalk. Check out the information page here for full details! I’ve got a ton of behind the scenes projects and improvements coming in 2019. With so many major launches and changes on the horizon, I’ve had to scale back the retreat plans. I can’t launch and monitor new things from out of state, out of the country, or the backwoods of Michigan. This is likely the only retreat until late fall 2019 and it’s probably the only Copic focused retreat this year. If you’re holding out for a better location, you may miss the fun until 2020. Join me for coloring fun under the warm Texas sun! Yahoo, yee haw, and giddy-yup y’all. My sincerest apologies to southern readers. I’m so painfully northern that snow shoots out my ears when I sneeze. I promise not to talk Texan at the retreat. You want to color better but wow, you are busy! There's the job, the family, and that looming pile of dirty laundry that's about the size of New Jersey. And even when you do find a quiet moment to squeeze in a coloring project, you're still mentally adding potatoes and bandaids to tomorrow's grocery list. Life doesn't stop and the world doesn't slow down. I don't mean to question your lifestyle, I'm just saying that it's really hard to focus on skill and technique when your mind is pin-balling around. To really learn something- to make sure that you totally understand the concept and to insure that your muscles are memorizing the feel of good technique, that requires whole brain concentration. And if you're curious how much milk is left in the fridge or if out-of-the-blue you suddenly wonder why you didn't see the last electric bill on your bank statement, then you aren't concentrating enough to create long term memories and true learning. Most people read the word "retreat" and they think private islands in the Caribbean or a ritzy spa in southern California. But honestly, a coloring retreat could be a room at the Motel 6. It's not about the scenery or the surroundings that makes for an effective retreat. It's pulling yourself out of your normal life and breaking your brain away from your usual routine. You don't need scenic alpine sunsets, just the raw difference of being in a new place without your old responsibilities prepares your mind to absorb the lessons. We all try it, at least once. Fourteen loads of laundry and a three day marathon of Fixer Upper reruns and ack! That plan got shot to bits, eh? If you're sitting at home, you're going to think home thoughts. Even sitting in your mother-in-law's coat closet would be better than sitting at home. That's also why you get more coloring done in class and more scrapping done at crops... because no one is asking you where their other pink sock is. When you vacate the house, you declare an intention to focus on the project, the online workshop, or the tutorials in the book you just bought. It's not just removing yourself from your normal duties, it's also setting up the mindset that "this is a new thing and I'm doing it now". Why am I talking about retreats today? Because that's my latest project. A destination workshop for Vanilla Arts students who want to really focus on their colored pencils. Online lessons are great and once a month local classes are very helpful but it's also good to get away from the world and focus on just the one special thing we love to do - coloring. It's a private cottage right on Lake Michigan. Surrounded by woods and wildlife. We're getting away from it all and you can join us! Level: Intermediate to advanced colored pencil colorers. Must have taken Colored Pencil Plus or art-based C.P. classes from an art instructor. Art Supplies Included: Bring your own pencil set(s), sharpener, and watermedia but everything else is provided! Five 11x14" line drawings plus guides and learning aids, and tons of tools. Lessons: Instruction tailored to your needs. Retreat size limited to 10 to insure that you get lots of individualized help and guidance. Goal: Learn to color large sized projects independently and with confidence; finding your own color palettes and unique sources of inspiration to move past copy-catting the instructor samples. We'll discuss and demonstrate the typical way that artists develop their own unique works and modify the processes to better fit the way colorers work. Lots of tools and books will also be available for you to sample and try, saving money as you build your own studio. Food & Lodging: Included in the price! It's a whole new adventure!